The Americas Cake Fair LLC (the “SPONSOR”) operates The Americas Cake Fair ℠ (the “Fair”), where ever and when ever it is produced, throughout the world. The SPONSOR maintains an office to conduct business at 32 Leone Lane, Unit 1, Chester, NY 10918. This website (the “Site) is owned by the SPONSOR. The domain names “www.cakefair.com” is owned and registered by the SPONSOR for its sole and exclusive use. This Site is an online service provided by SPONSOR. By accessing or using the Site, you agree to be bound by these terms and conditions as well as changes posted on this Site hereafter. You agree to review the terms and conditions periodically. You agree to access and use the Site at your own risk. If you do not wish to be bound by these terms and conditions, your exclusive remedy is to discontinue accessing and using this Site. Depending upon the activity, some of the information that we ask you to provide is identified as mandatory and some as voluntary. If you do not provide the mandatory data with respect to a particular activity, you will not be able to engage in that activity online. Instead, you will need to use a non-web option for transacting that business with the SPONSOR. The SPONSOR collects your information in order to record and support your participation in the activities you select. For example, information you provide to the SPONSOR may be used to help you obtain show information, vendor names, addresses and other contact information, etc. Information that you provide may also be used by the SPONSOR as a part of our efforts to keep our vendors informed about public comments, inquiries, or other information used in either SPONSOR’s or its vendors’ and strategic partners’ marketing campaigns. All information collected may be shared with SPONSOR’s parents, and affiliates, including its vendors and strategic partners. SPONSOR recognizes and appreciates the importance of responsible use of information collected on this site. Information may be saved for a designated period of time in order to comply with the State archiving policies, if any. However, personally identifiable information will not be disclosed to third parties or government agencies, unless required by state or federal law, without your express permission. When we collect this information, you will be given the opportunity to either “opt-in” or “opt-out” of personally identifiable sharing. When you visit this Site, you can surf the Site anonymously and access information without revealing your identity. In order to improve our Site, we may use “cookies” to assist your visit. A cookie is small amount of data that is transferred to your browser by a web server and can only be read by the server that gave it to you. It can function as your identification card, recording your passwords, purchases, and preferences. However, it cannot be executed as code or deliver viruses. You are entirely liable for all activities conducted through YOUR ACCOUNT. You agree to immediately notify the SPONSOR of any unauthorized use of your account or any breach of security. The SPONSOR will never ask you for your password in an unsolicited phone call or in an unsolicited e-mail. Also remember to sign out of your account and close your browser window whenever you have finished your visit. Data transmission over the Internet is not guaranteed to be 100% secure. While we strive to protect your personal information, the SPONSOR cannot ensure or warrant the security of any information transmitted to us or received from our online products or services. Once we receive a transmission, we make our best effort to ensure it is secure on our systems. You are responsible for all charges associated with connecting to the Internet. You agree that any telephone or other communications fees and charges incurred are your sole responsibility. Violations of system or network security of the service are prohibited, and may subject you to criminal and/or civil liability. The SPONSOR will log and investigate potential security violations, and may notify applicable law enforcement agencies if violations are suspected. Either you or the SPONSOR may terminate your Internet account, if any, at any time. This is your sole and exclusive remedy with respect to any dissatisfaction with the service. To initiate termination, contact info@cakeandsugarcraftfair.com and identify the Internet service account you wish to terminate. Be sure to include your full name, telephone number(s), and valid email address. Your account termination will take effect within a reasonable amount of time after the SPONSOR receives your emailed notice. If a user’s conduct fails to conform to the letter or spirit of these terms and conditions, or if SPONSOR believes the user’s conduct may create liability for the Site and/or its affiliates, then that user’s service will be terminated. The SPONSOR reserves the right to restrict access of any user of this service and may at any time in its sole discretion with or without notice and with or without cause immediately deny access to the service and may remove all account information. SPONSOR makes no representations regarding the content and information provided on or through this Site including, but not limited to, errors, omissions, mistakes or inaccuracies of any kind. All content and information in the Site is provided “AS IS” and without any warranties of any kind. All express, implied and statutory warranties including, but not limited to, warranties of merchantability, fitness for a particular purpose, use or non-infringement of rights, accuracy, timeliness and completeness are expressly disclaimed to the fullest extent permitted by law. SPONSOR is not liable for any damages arising out of access to, and/or use of or reliance on, any content of the Site or a linked website including, but not limited to; direct, consequential, indirect, remote, incidental, special or punitive damages and lost profits or lost opportunity to the fullest extent permitted by law even if SPONSOR has been advised of the possibility of such damages. Any provision of this Disclaimer declared by a court to be unenforceable shall be deemed severable and shall not affect the validity or enforceability of the remainder. This Site may contain links to web sites owned and maintained by other persons or entities. These links are provided for your convenience only. SPONSOR does not control these web sites and bears NO responsibility or liability for, nor should SPONSOR be deemed in any way to endorse or approve of, the contents, products, services and information on the sites or the owners’ or their positions on various issues. The respective web site owners should be contacted directly with questions regarding these sites. SPONSOR welcomes requests to place this homepage link on your website or to place your link on this Site. You may not do either, however, without our written consent. 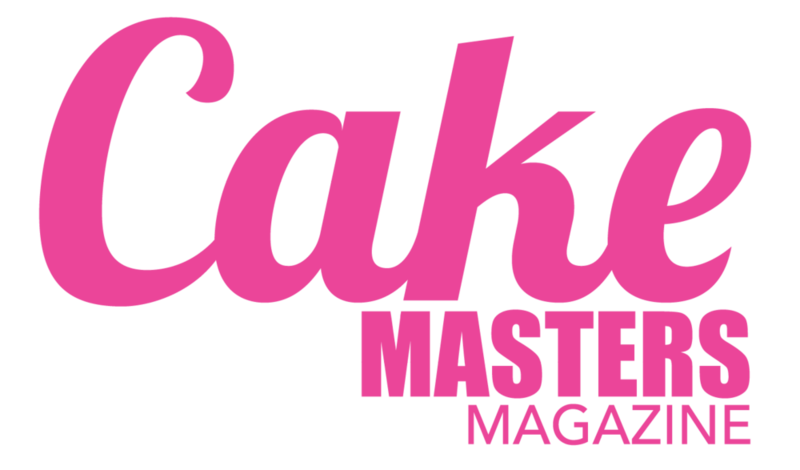 Please submit requests to info@cakefair.com. Links to this Site are subject to following conditions: (a) links must be hypertext only; (b) links must text-only (i.e. no logo or other protected words or images) with wording approved by SPONSOR; (c) links must “point” only to the homepage of http://www.cakefair.com” and not to any other pages within the Site; (d) the appearance, position and other aspects of such link, must not damage or dilute the goodwill associated with SPONSOR or its services, service marks or trade marks, if any, nor shall they create the false appearance that an entity is associated with or endorsed by SPONSOR; and (e) the link, when activated by a user, must display the homepage of this Site full-screen and not within a “frame” on the linked website. SPONSOR reserves the right to deny or revoke consent at any time and in its sole discretion or to condition its consent on such additional terms as it deems necessary. SPONSOR EXPRESSLY PROHIBITS deep linking, framing, in-line (IMG) links, metatags, hidden code of any kind and any other methods of accessing or linking to this Site or its contents or for diverting others from this Site or to another website when searching the Internet. 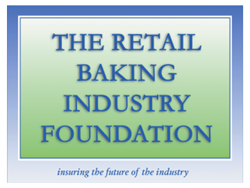 The Americas Cake Fair is protected by trademark and other laws. The Site may also contains other trademarks, service marks and logos owned by SPONSOR or others. You may not use any of these trademarks, service marks and logos without the express written permission of the owners. You agree to grant SPONSOR a non-exclusive, royalty-free, worldwide, perpetual license, with the right to sub-license, reproduce, distribute, transmit and create derivative works of, publicly display and publicly perform any material or information you submit to the Site as well as the right to use your name in connection with such material and all related advertising, marketing and promotional material without recourse against SPONSOR for infringement or misappropriation of such materials and information. All content on this Site is proprietary and protected by law including copyright and intellectual property laws. Content includes, but is not limited to: software, documents, text and image files and audio and video clips. SPONSOR retains all rights in the content of this Site. Third parties may also have proprietary rights in material on this Site. No one may modify, copy, reproduce, publish, republish, upload, post, transmit, distribute, display, perform, license, transfer, sell or otherwise use or dispose of the Site or its content without the express written permission of SPONSOR or other owner, which will be granted in SPONSOR’s sole discretion. Third parties must be contacted directly for permission to copy and use their protected materials. a statement that the information in the notice is accurate, made under penalty of perjury and is being made by the owner or its agent. Upon receipt of a Notice that complies with the DMCA, we will respond expeditiously by directly or indirectly (i) removing the allegedly infringing work(s) stored on the website or (ii) disabling access to the work(s). We will also notify the entity that posted the allegedly infringing work(s) that we have removed or disabled access to the work(s). If such entity believes in good faith that the allegedly infringing works have been removed or blocked by mistake or misidentification, the entity may send a counter notification that satisfies the DMCA requirements to our agent described above. We will send a copy of the counter notification to you and we will follow the DMCA’s procedures with respect to counter notifications. In all events, you and the entity submitting the counter notification expressly agree that we will not be a party to any disputes or lawsuits regarding alleged copyright infringement. PLEASE BE AWARE that anyone who knowingly makes misrepresentations regarding alleged copyright infringement may be liable to SPONSOR and others for damages incurred in connection with the removal, blocking, or replacement of allegedly infringing material. This Agreement and the Site are governed by the laws of the State of New York and all actions or proceedings relating thereto shall be brought only in the Supreme Court for the State of New York, sitting in and for Orange County. Any provision of this Agreement held by a court to be unlawful, void, or unenforceable shall be severed and shall not affect the validity and enforceability of the remainder. SPONSOR’s failure to insist upon performance of any term or condition of this Agreement shall not be construed as a waiver. This Agreement shall not be construed in any way as limiting or waiving any other rights or remedies SPONSOR may have under law. In the event of a violation of this Agreement, by you or any other person or entity acting through you or on your behalf, you shall agree to indemnify, defend and hold harmless SPONSOR and its officers, directors, employees and servants, as well as its agents, licensors, licensees, suppliers and any third party providers to the Site, from and against all losses, expenses, damages and costs, including reasonable attorneys’ fees, resulting from such violation.